The Tulsa Company Greenleaf Lawn Care has stepped into the role of helping school systems around the Tulsa area. Owners Jamie Nix and Josh Mathias have started a fund within their company called “Cut for the Kids”. The system they have put in place works where with every new service that they provide a customer they will donate five dollars to your school district of your choosing. You can help out the schools in the area while also getting amazing lawn care provided by the best Tulsa weed control company in the state. The Best way to get started is give us a call at 918-640-6405. Greenleaf won’t just send anybody to your house to work on your lawn. Every one of our employees are turf enhancement engineers and are certified by the Oklahoma Department of agriculture right here in Tulsa. All of them come to your house equipped with the correct licenses so they understand what they are dealing with and how to take care of your specific lawn in the best way possible. 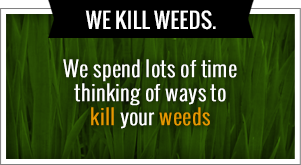 We are the best Tulsa weed control in the area. Our name is extremely important to us and will always give you the best service that you could imagine. During the winter we offer other services that you may not expect from lawn companies. We also offer the best holiday light hanging and design in the Tulsa area. We understand that nobody likes to climb up a tall ladder and hang from their roof while trying to attach little light bulbs on the gutters. Many people do not have the correct tools to get the job done efficiently and safely. Greenleaf has experts at this and will be able to give you advice that will make your home look amazing and will also be able to install your lights and take them down after the season and we can even store them if you’d like. Our founders who I mentioned before, Jamie Nix and Josh Mathias have grown up in this area and want to really give back to the community. Years ago they decided to come together and create a lawn care company that offers the best service at a very competitive price. Because of that they have gained many residential customers and also business customers such as Mathis Brothers, Outback Steakhouse and many other leading companies in the area. Josh and Jamie are starting to grow their own families here so they would love to grow their business family here as well. They plan to be giving back to the community for a long, long time. 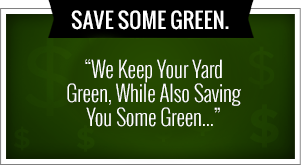 Greenleaf Lawn Care doesn’t just do Tulsa weed control; we offer so many services that it would amaze you. We offer fertilization rates starting at $35, installation of your sod, removing and planting small trees and shrubs, spring cleanups and scalping of lawns hedge trimming and shaping and so many other services. Our president, Josh has famously been referred to in the surrounding areas as the “fastest weed Wacker in the South”. The best thing is that being fast and efficient doesn’t mean that we do less of a quality job for you it just means that we give the best quality while taking up the least amount of your precious time. Greenleaf Lawn Care is the best Tulsa weed control company and has been described with words such as amazing, astounding, marvelous, miraculous, spectacular, staggering, striking, stunning, breathtaking, extraordinary, impressive, stupefying, stupendous, wonderful and many other similar words. There is nothing more satisfying to us than receiving a call from one of our clients who are just amazed at the transformation of their lawn after we have taken the lead. They can’t believe what a difference we made for them. If you would like to see the same change happen in your lawn that all of our customers have experienced and all you need do is give us a call at 918-640-6405. During the time we are not doing Tulsa weed control, Greenleaf Lawn Care doesn’t skip one beat at any point of the year because we offer seasonal services that our clients really love. These are things like aerating, over seeding, scalping lawns, trimming back perennial plants, seasonal flowers and mulch and so many more services. Greenleaf also offers our 24 hours a day, seven days a week snow and ice removal service during the winter. We enjoy taking care of both commercial and residential areas for our snow and ice removal. We also have plow trucks available as well. We also will do your sidewalks the old school way by getting out and actually shoveling. One of our favorite things that people love is our holiday lighting package. We can do everything from design to installation to removal and even storage. Christmas lights are one headache that you will be able to take off your plate. We personally don’t like the thought of any of you having to climb up a ladder onto a possibly slip and possibly hurt yourself. Leave that to us and our trained holiday light installation personnel. We want you to enjoy your holiday at home with your family and not in the hospital. Greenleaf Lawn Care was started by two friends that have grown up in the Tulsa area and have had the urge to improve their community. Jamie Nix and Josh Mathias are both starting families of their own in the area and want to give back to the school systems around even before their children attend them. They have started a wonderful cause called “cut for the kids” where they will give five dollars for each new customer who purchases a service from Greenleaf to the school system of their choosing. We feel this will help out with some extra money because we all know that school systems have very limited resources right now. When you come to Greenleaf you will also be helping your community. Greenleaf also offers many other services that most companies do not. We are not only the top Tulsa weed control group around but we also can help you with your lawn fertilization, the planting or removal of small trees and shrubs and even sod installation, weekly lawn maintenance to keep your lawn looking great all year long, just to name a few. You can call us for a free estimate any time you’d like and you will be able to see that our prices are extremely competitive in the area. We are very excited to help you get your lawn looking amazing and have people do a double take every time they walk or drive by. We will give you the lawn in the neighborhood that makes everybody else jealous.